Pontarius works by order of both the state, municipalities and the private sector. When it comes to municipalities, Askersund is a big customer, especially when it comes to project planning! 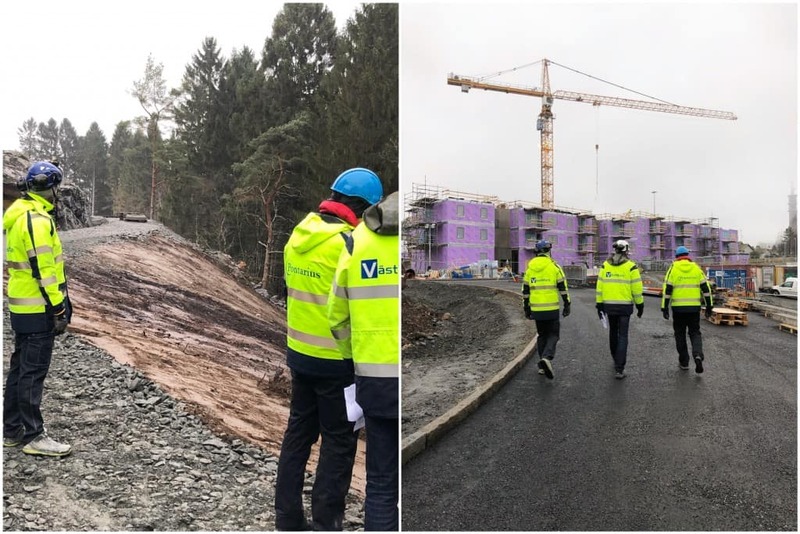 Since 2017, Pontarius has carried out about a dozen project planning assignments regarding the exchange and renewal of existing pipeline networks around the locations in Askersund municipality. All assignments consist of several different parts, such as developing complete contract documents, conducting environmental checks, acting as a construction manager, inspecting, inventorying, carrying out measurements using drones and performing various types of investigations. Image: The project Spikvägen in the town of Kårberg. We have created contract documents for the exchange of approximately 300 meters of water pipes and 60 meters of spill pipes to existing booster station. We also carried out an environmental inspection, handled the inspection and had the role of construction manager during the production. One of the more interesting and unique projects is “Förbifart V Åmmeberg”, which is still in its startup phase. There we will design and investigate the possibility of adding a new transmission line through Åmmeberg. The route passes through a harbor belonging to a Zink mine and through the lake Åmmelången. As these stretches are contaminated, much contact and cooperation is required with the County Administrative Board and Environmental Management to perform sampling on the bottom sediment, geotechnical engineering and to map the lake. In other words, it is a comprehensive assignment that involves several people from different areas of expertise and professional categories and also gives us the opportunity to further broaden and deepen our knowledge – just as we strive to work in projects! 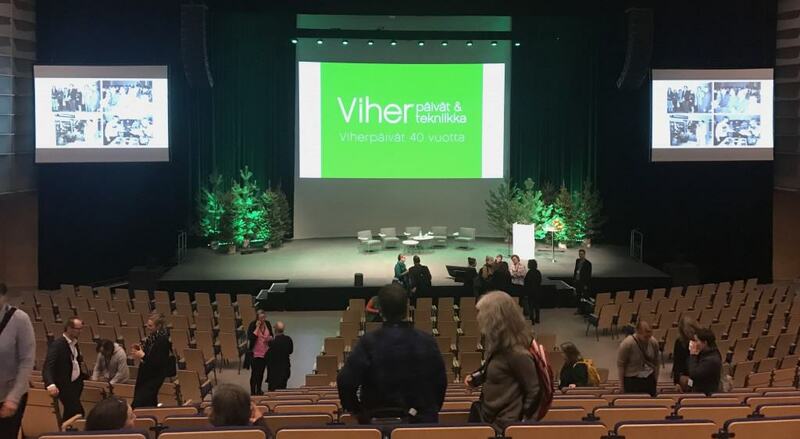 A few weeks ago, one of our landscape architects traveled to Jyväskylä in Finland to lecture at the Finnish landscape and technology fair Viherpäivät and participate in a live-broadcasted panel discussion afterwards! “Viherpäivät Landscape and Technology Expo” is Finland’s largest national park and landscape fair. Here, landscape architects, landscape engineers, construction workers, city gardeners, suppliers of materials, equipment and machines, as well as trade magazines, gather to visit technical exhibitions, attend seminars and listen to lectures. During this year’s fair, one of Pontarius‘ landscape architects was invited to talk about successful municipal park management, a lecture based on the master’s thesis that she and another person conducted two years ago! Among other things, the lecture was about various success factors behind park management in smaller municipalities. It is evident that a holistic perspective is needed, where aspec ts concerning both the physical work out in the city’s parks as well as organizational and leadership factors are needed in order to achieve a successful result. Good strategies are needed to find great values in small areas, design, plant, care, commitment, roles and goals, communication, competence and marketing! 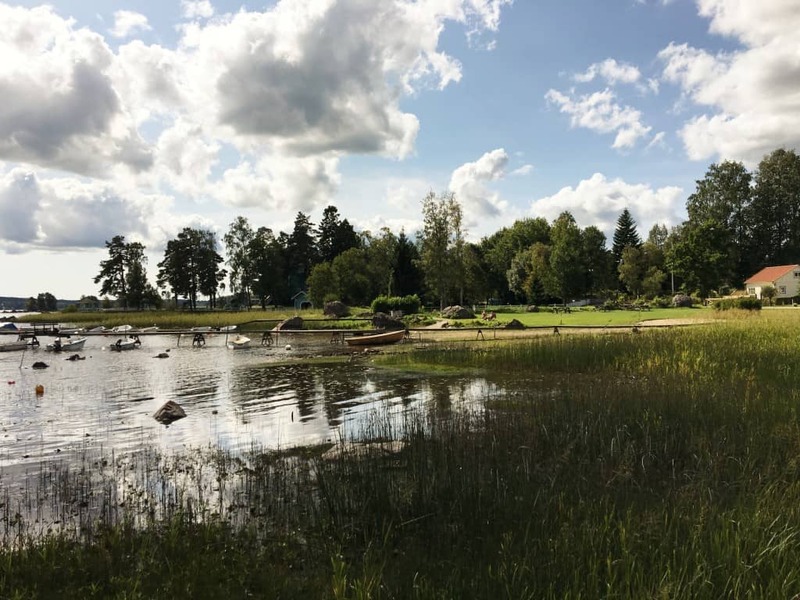 The master’s thesis that formed the basis of the lecture is entitled “Successful park management – inspirational guidance from small municipalities with great ambitions” and has previously been summarized, translated and published in “Viherympäristö“, the Finnish magazine for park and landscape. The thesis is available here (swedish language! Our urban society places high demands on roads and streets’ capacity, sustainability, aesthetics and function. How does Pontarius work to meet the increasing needs? What role does the business area roads & streets play for our customers and society in general? How do we look at the challenges of the future? These are questions whose answers we want to present in this business area special! Within the business area, we have a broad set of competencies. Environmental specialists, surveyors, traffic planners, road safety experts, VA investigators, plan architects, landscape architects, data coordinators, road designers, construction and project managers, construction lawyers and maintenance planners are examples of some of the specialist categories that conduct a close collaboration in our road and street projects. But is it necessary to have so many categories? For us, the answer is undoubtedly YES. 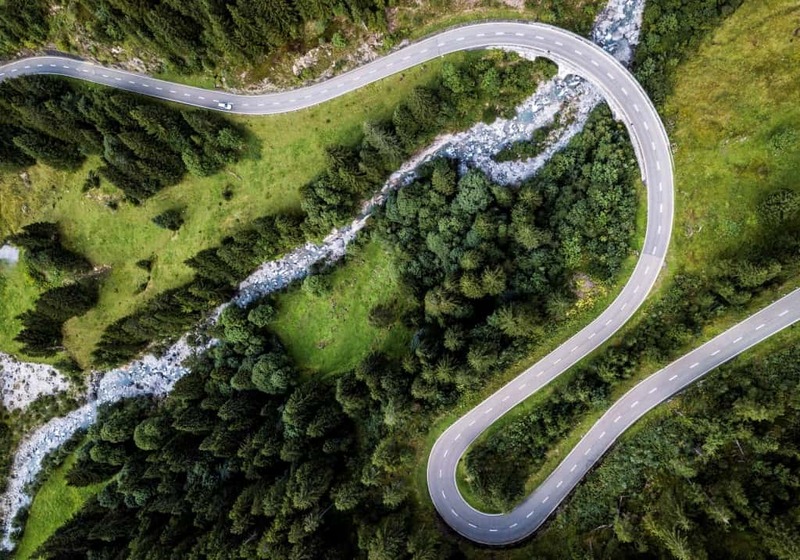 It requires both broad and deep knowledge to create the perfect road/street project that extends across the entire chain; from early road and detail plans to developing maintenance strategies for the entire life of the establishment! We work with everything from rebuilding of inner courtyards to new construction of motorways as well as with the development of new solutions. In all assignments, we focus on creating more sustainable contracts and roads/streets in harmony with our environment. For us, this means taking a holistic view of all perspectives that can affect our earth and its inhabitants; for both current and future generations. This is achieved through a cross-border collaboration between areas of expertise and professional categories. Our lawyers often have a prominent role in both demanding and following up that contracts are performed under socially acceptable conditions such as working hours, remuneration and security. Our financial consultants work with economic sustainability, which is, among other things, about making smart procurements with innovative elements. Our engineers are working to optimize the service life by carefully choosing methods and materials, as well as with a well thought out and planned maintenance. Our environmental specialists work with emissions to water, use of chemicals, oil spills, toxic substances in soil. “The industry’s challenges for the future are undoubtedly capacity and consideration for our environment! We need to find smart solutions that combine these two perspectives, only then can we claim that the industry is creating a better society!” says Johann Rollén, Business Area Manager Roads & Streets. We work to develop roads and streets that meet the needs of the future. For us, this means that we focus on seeking solutions that have care, balance, capacity and collaboration as key words. How do we give cyclists and pedestrians a safe and efficient traffic environment that combines modern technology with aesthetic values? How do we develop capacity-fulfilling roads and streets that lift and improve the urban society while protecting our flora and fauna? Our conviction is that we can solve issues such as these by early in the process/assignment/project work as support of our clients in order to preserve and secure by developing, changing and planning with the purpose of finding the areas that make a difference if one makes the right choice! For would it not would be wonderful if we in the future avoid queues, feel safe and fully and with good environmental conscience can enjoy the surroundings; whether we are walking, cycling, driving or using any other means of transport? 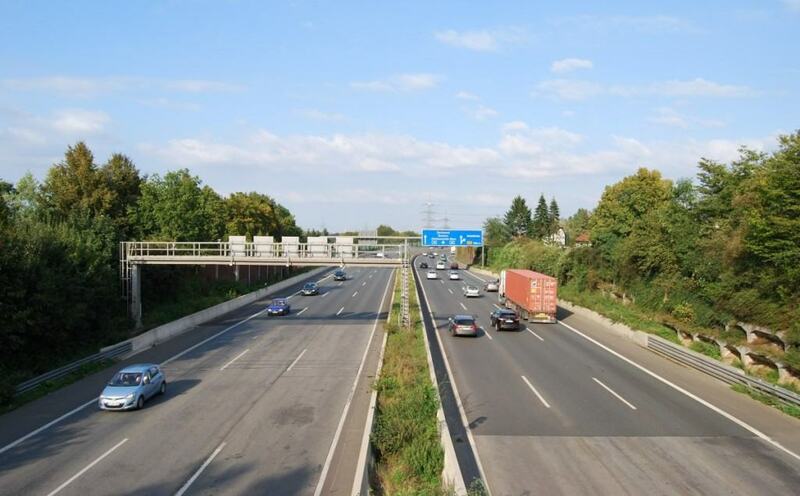 Click here to read more about our business area roads & streets! In little over a week, it is time for the 25th edition of LAVA, the infrastructure section’s Labor Market Day at KTH in Stockholm, and Pontarius will of course participate! For Pontarius, LAVA will be the first fair of the year, and we look forward to another year filled with rewarding meetings with enthusiastic and driven students who have the future in sight! This time, it will be possible to meet more of our consultants than before – both senior and junior, who work within everything from law, environment and finance, to roads and street, ports and airports. We hope that this will give us the opportunity to showcase our entire breadth and knowledge, as well as capture a wider range of areas of interest and show more clearly how we work daily cross-border between areas of expertise, offices and professions! You will find us in “Gamla matsalen”, showcase no. 25 – warmly welcome to visit us! » Read more about LAVA here! » Read about what it is like to work at Pontarius here! Stockholm is changing when the city is built denser, districts are tied closer and areas are supplemented to meet new needs. In an overview plan for Stockholm, the city highlights four areas that are particularly important to develop. One of these focus areas is Farsta, where several infrastructure projects are currently being conducted. One of the projects is Sunneplan, in which Pontarius is involved! Farsta has a strategic location in the south with great urban development opportunities and many qualities that can both be utilized and developed. The district area also has a unique scenic location, good communications and access to a regional service and business center. The Sunneplan project aims to enable more homes, premises and preschools at Sunneplan. The detailed development plan was approved in the Urban Planning Committee in December 2017 but was then appealed. In anticipation of new approval, detailed project planning is in progress. Pontarius has been involved in the development of construction documents since November 2018. Once the detailed development plan has been approved and the construction documents are completed, Pontarius will have the role of construction manager. Our assignment will for instance include the relocation of existing pipelines and construction of the road and plaza for Stockholms Stad. When the project will be completed remains to be seen. But the importance of creating a regionally permeated development that considers and respects the individual assets and needs of urban areas cannot be emphasized enough – and is undoubtedly something that is worth waiting for! Gothenburg turns 400 years old – celebrates with 7,000 new homes! 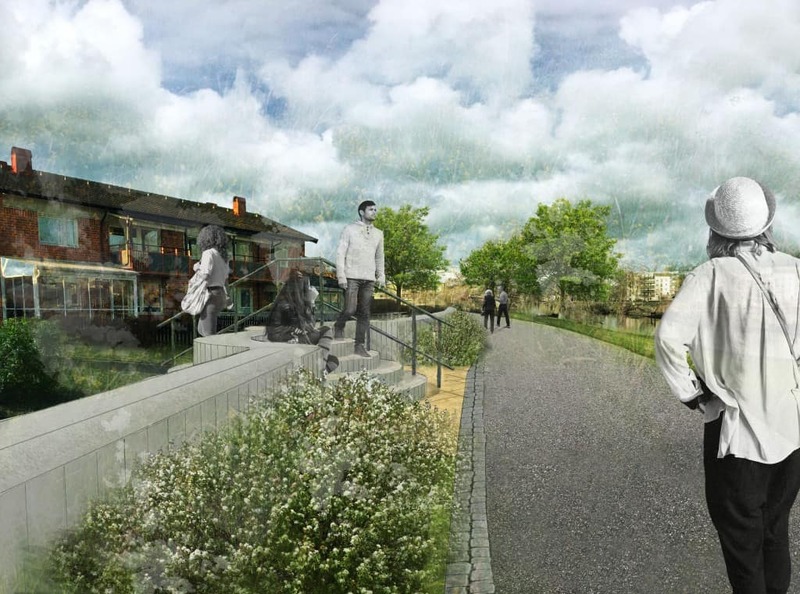 To meet the increasing housing needs, Göteborgs Stad will, together with several municipal, private and cooperative building actors, carry out a large investment that will provide 7,000 new homes. Pontarius has the honor of being part of this unique project! 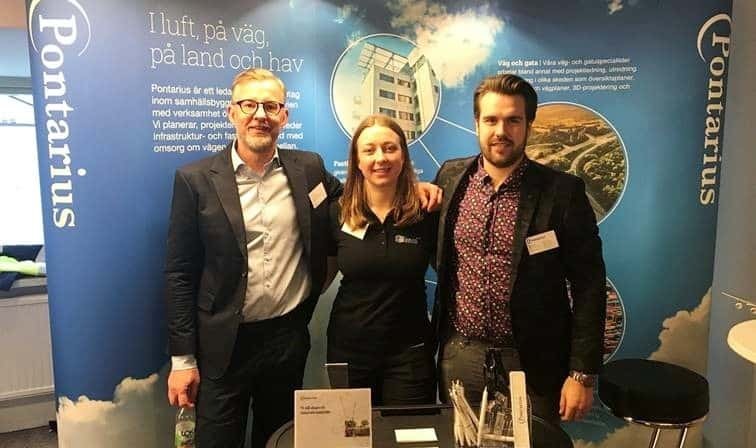 This is the first time that the Göteborgs Stad and its politicians cooperate with the business community in a joint project to build more housing, which makes it extra fun that Pontarius is part of this venture. 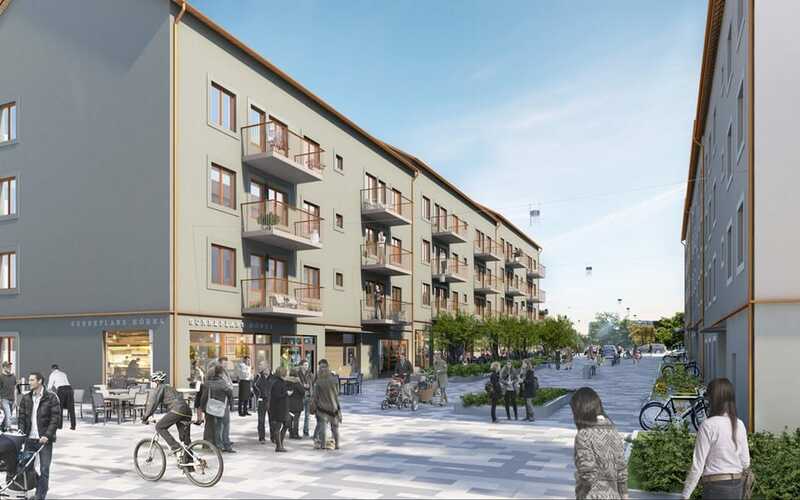 The residences will be ready to move into on Gothenburg’s 400th anniversary in 2021, and the investment is thus called BoStad2021 (LiveCity2021). Pontarius is involved in six of BoStad2021’s total of 30 sub-projects. Among these, we hold the role of construction manager in four and project manager in two. In all projects, there is a high level of ambition regarding both social and ecological sustainability. Solutions that will make it easier for sustainable travel, more widespread accessibility to all the city’s possibilities, green courtyards, local production of heat and electricity as well as solar cells and geothermal heating are just some of the solutions that will be integrated into the city. In other words, focus is devoted to creating consideration and closeness to both nature and culture; something that we at Pontarius always try to strive for! In order to build 7,000 new homes over a total of seven years, a broad and careful collaboration between all participants is required where well-tried approaches must be adapted to the needs of the sub-projects. Thus, the assignment has on several occasions meant an opportunity to be involved in finding methods for developing and streamlining the work with planning and construction processes. 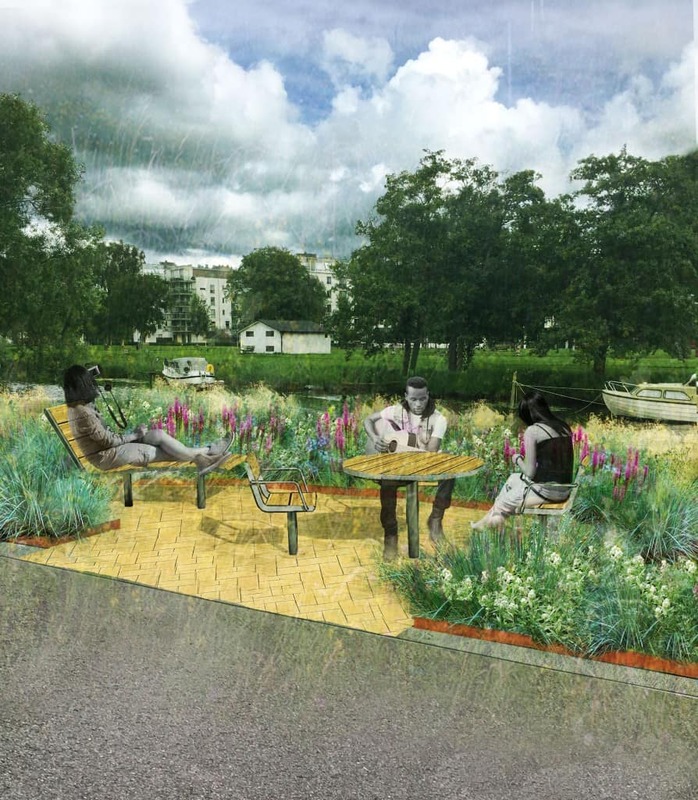 For Pontarius, it has also been a unique opportunity to act as a positive force when it comes to contributing to more housing in Gothenburg and at the same time cherish the individual needs of the areas when it comes to culture and the environment. In other words, it has been both a very rewarding and fun project to be part of! 2019 – The year of diversity from many perspectives! New year, new efforts! Here at Pontarius we care about the environment around us. We gladly take on assignments where the environment is a focal point and where we can contribute to a better future. Green walls, cultivation on roofs, sustainable materials, smart stormwater solutions, drought-resistant vegetation, meadow surfaces and woody play environments are just a few examples of site adaptation that can maintain and/or increase biological diversity. Cause biodiversity is the mainstay is carrying all our other ecosystem services. Our landscape architects work with projects at all stages and scales and see it as obvious to work with green values ​​in the city. We grow and recruit more people with environmental focus, for one thing is certain: The future is here! Happy new 2019 we wish at Pontarius! Pontarius is part of the modernization of APM Terminals! Digitization and automation are becoming increasingly common in the infrastructure industry. For Pontarius it is a matter of course to be a part of this; whether it concerns legal work, design, construction management, management or anything else! 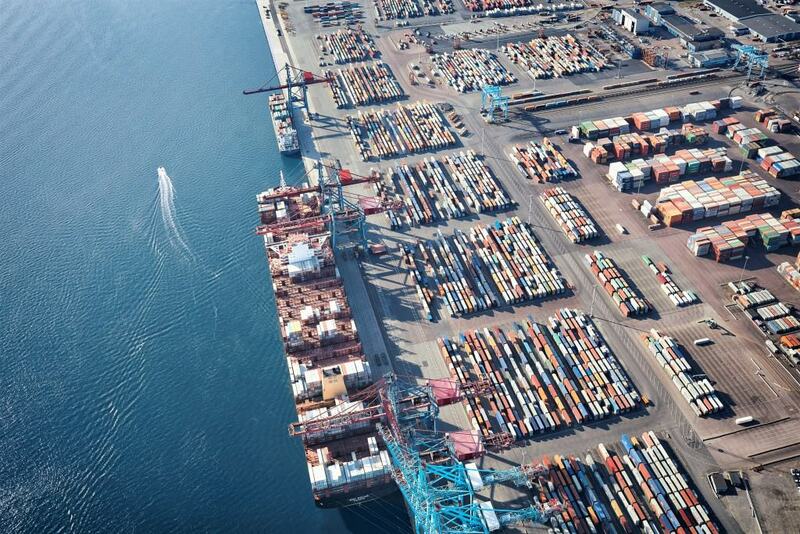 This time we are helping APM Terminals in Gothenburg to digitize their in and out truck passages to the dock. At the moment, everything at APM Terminals is performed manually: containers arrive at the quayside by truck or train, the driver parks, finds those who work on the quayside, and lastly gets a stamp and driving direction. While this, indeed multi-step approach, works well, there is room for improvement. The purpose of the project is therefore to digitize and automate the entry and exit process by setting up barcode readers that both identifies the container and finds the pre-registration. Thus, the driver will, instead of having to complete all steps by him- or herself, only need to confirm who he/she is on a computer screen. Pontarius has been involved since the project was introduced 1,5 years ago. We have created the foundation for the design of the entire project and also serve as a technical support during the process. For example, in order to design the actual land facility, we have helped to simulate the transport flows, thus finding out how the lorries should stand, where they should queue and where the barcode readers should be located. The preparations were completed sometime in February/March, and by then it was time for Pontarius to take on the role as building and project manager for the construction. It is of course extremely fun that Pontarius is involved in forward-looking projects as this, and we hope to continue to be at the forefront of development! Tisarbaden is a small town that lies by the lake Tisaren lies and has, for a long time, been a popular area for summer cottages. Now the area’s sewerage network will be expanded, and Askersund municipality has taken the decision to take help from Pontarius! Tisarbaden has formerly been dominated by holiday homes but is now starting to become home to more and more permanent settlers. Hence, there is now a need for and a gain in ensuring the long-term performance of the properties. The municipality has therefore decided to connect all properties to the municipal pipeline so that the entire town has access to municipal water. The properties must be connected through a so-called LPS-system (Low Pressure Sewer system). 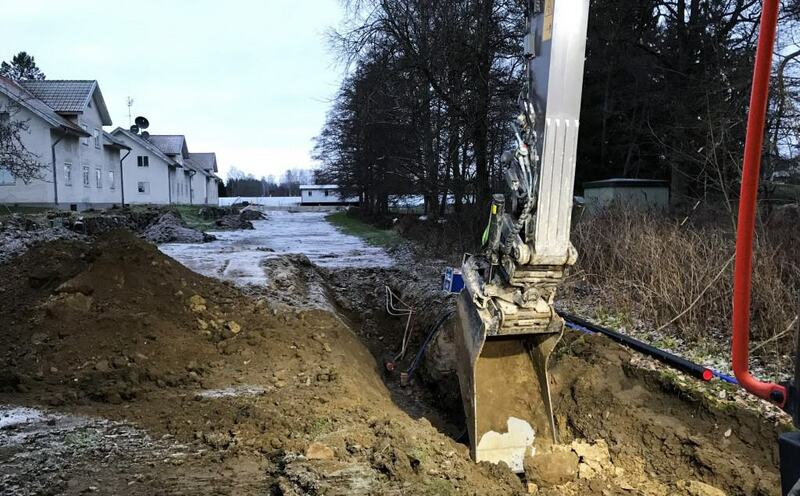 Pontarius’ work has included an investigation, a design of the grid to more than 120 properties, a geotechnical survey and a risk analysis for vibration-causing work. In addition, we will hold the role of project and construction manager during the contract period. In other words, the work has been long and captures a very wide range of skills – exactly how we like working in projects!